The horrifying CT shooting in 2012 and the incredible cruelty against a young Indian woman, which she did not survive appalled thousands and thousands of people around the world and raised many questions, one of them, what was going wrong in this world and with society that these things could happen at all. “We know that something is wrong with our society, but we do not know what, and how to change it.” That was one of the most common remarks of people being interviewed, conveying a kind of helplessness in the face of such social catastrophes. It is said that in everything bad, we can also find something good, and although it might seem impossible in the face of such incomprehensible acts of violence, something new and good happened as well. And it is comforting to see, that no matter what, good will emerge, even from the most unlikely grounds. All over the world people joined with the victims and their families to mourn, to console, to help, to protest and take actions. A new sense of unity emerged, a feeling of oneness, a sense or knowing that these innocent children were part of our family, too. That this young Indian woman was our sister and our daughter, too. Their loss hurt us, too. We became a global family. Like thousands and thousands of people, I also felt compelled to double my efforts to bring a change into this world. Everyone has something to contribute, and to give for the benefit of our beloved Earth and humanity. The part I have chosen, is to spread the knowledge of inner transformation, given by Shri Mataji Nirmala Devi. Shri Mataji gave this knowledge always for free, pointing out that every human being has the right to inner transformation, healing, self-realization and ultimate freedom that comes from inside. Could we ever imagine Jesus going around, telling people, ok, I will heal you, and I will tell you about the beauty of life and yourself, but first, here is my invoice? Or Buddha, saying, yes, I will give you enlightenment, pay me such and such an amount? Shri Mataji Nirmala Devi was such a personality, who never took money for giving her knowledge. I meditate since almost 20 years, and not once in this time, was I ever asked for money. That is, why this blog is created – for all of you, who are searching for a way to find all the answers inside, because – yes, the answers to all questions are already inside ourselves. We only have to know, how to unlock them. 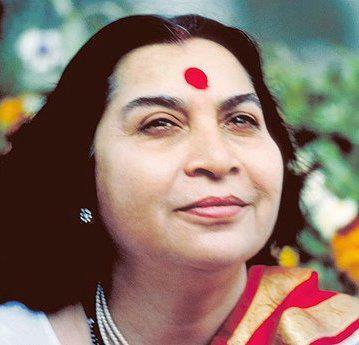 In the desire that everyone finds a way to connect to his inner self, which brings fulfillment, satisfaction and joy, I gave my time willingly to create this blog and pass on that knowledge which Shri Mataji has shared so lovingly with everyone, hoping that it will be a part of a change in the world for the better. I encourage everyone to take your time by going through this guide. Go only to the next step, when you feel, that you have mastered the current step. You will see that in the guided meditation to awaken your Inner Energy, there is one affirmation which is very significant: “I am my own master.” And that is exactly that – you are guiding yourself, deciding for yourself and finding your own pace. I wish you a lot of joy on your way to your inner Self, whatever way you chose!